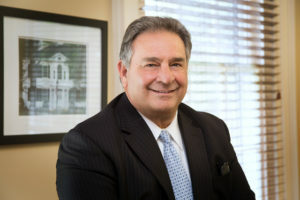 Cramer & Anderson Partner Randy DiBella has been named one of the Best Mentors among Connecticut attorneys. The award, one of four for Cramer & Anderson attorneys this year, was based on a nomination letter submitted by Partner Kent Mancini. We’re fortunate to have a standout sage passionately mentoring young attorneys so effectively he elevates career arcs while creating the next generation leaders to oversee Cramer & Anderson’s growth and success. Partner D. Randall DiBella, who holds an AV Preeminent® Martindale-Hubbell® Peer Review Rating™, has deep experience in Personal Injury litigation, arbitration and mediation, and complex civil and insurance litigation—and game-changing experience as our treasured mentor. That quote exemplifies why he is so successful and respected as a mentor. He always made the time for me when I had any questions at all, but he also would never just give me the answers. Instead he would help me find ways to succeed. He knew when to push me to do better, and when to build me up or nudge me in the right directions if I was frustrated. He would never make things easy for me, and even when I was a new lawyer, Randy would give me tasks and cases that may have been more advanced than I was ready for. But he would also do anything to ensure I didn’t fail. I could go on citing experiences of attorneys mentored by Attorney DiBella, whom they credit with “a true professional compassion and understanding with the clients.” They also cite the same list of other attributes Attorney DiBella instills as a mentor: highly-caring collaboration; strong work ethic; attention to detail; reaching beyond capabilities to grow; developing trial theories and strategies from the first day with clients, and even stressing the importance of work-life balance and how personal development enhances professional development. Attorney DiBella is joined on the list of winners by Partner Dan Casagrande, who won the Giant Slayer award, and Attorney Christopher Sochacki, who won a Distinguished Leaders award. 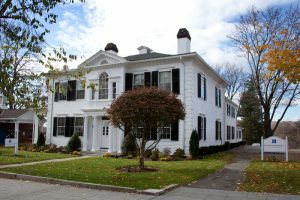 The firm has offices in New Milford, Danbury, Litchfield, Kent, and Washington Depot, as well as a new office in Ridgefield, serving Fairfield County. For more information, see the website at crameranderson.com or call the New Milford office at (860) 355-2631.